Compared to the United States, there haven't been a lot of mass killings in Canada. Canada is predominantly white and Christian and researchers tell us that across the world, men are usually the perpetrators of mass killings. That's why what CBC's Neil Macdonald calls an inconvenient truth is really a penetrating insight into the obvious. Telling us that Canadian mass killers are white, male, and Christian is like saying that in Sweden, the mass killers are usually male blond protestants or that in China they are unlikely to be Africans. Chris O'Neill-Yates is a veteran CBC journalist. Like most people in her line of work, Chris is on Twitter plugging both her own work and commenting on events in the world around her. Not surprisingly, Chris has been fascinated - appalled might be a better word for it - by events in the United States over the past year. "Global media will face [a] credibility challenge in the next four years," O'Neill-Yates tweeted one day around Christmas. "There'll be those who report facts and those who report nonsense." A Telegram editorial last week also chimed in on the issue of facts, in the way of even more recent events in the United States. The message is clear: the media is now dealing with a situation where some believe they can simply make things up. We have to be more careful than ever to be accurate. We also have to be ready to clearly identify and call out both mistakes and lies for what they are, when they occur. We want you to consider the source, and not find us wanting. The CBC has gone off to the mainland to get Duff Conacher to make a comment about the need for political finance reform in Newfoundland and Labrador. 1. There is a desperate need for campaign finance reform in Newfoundland and Labrador. SRBP has been writing about it relentlessly for a dozen years. By comparison, the conventional media simply couldn't be arsed to cover the subject more often than not. When they did notice something was amiss, as in 2006, they were inclined to follow the line set by the government-of-the-day rather than have a look at the facts for themselves. What they would have discovered in the massive patronage scheme that ran here between 1996 and 2006, for example, was that the the level of misuse of public funds went *up* after 2003. And after that they'd have found all sorts of other odd things. Donations by companies getting hefty contracts from government? Absolutely, a problem. Tired of writing about it. Finance minister and later premier Tom Marshall financed his entire election campaign in 2011 out of a series of seven cheques from construction companies all of which did work for the government as Marshall shovelled cash into capital works at an unprecedented - and unsustainable - rate. But what about political donations by town councils and the police? Or what about a politician who ran a charity while he was in office that was funded by his government salary)? 2, Conacher knows shag-all about what is happening here, as some of his previous comments have shown. That actually weakens the case for campaign finance reform here since he is going to miss more than he hits. Duff's good for the penetrating insights into the obvious - we need reform because it lends itself to corruption - but as with the CBC story his ignorance of the particulars makes him look like a bit of a goof at best or a blind nob at worst. You see, Duff's been stonily silent on far worse things between 2003 and 2015 than anything he said before 2003 or since 2015. 3. Stunned as me arse or what? You really have to shake your head in disbelief at Dwight Ball's comments in the CBC story. His election platform included a promise to change the campaign finance laws. Instead of playing that up, Ball goes on the defensive making he look like he opposes finance reform. That's the kind of stuff that must leave everyone outside of the Premier's Office banging their heads on the wall in frustration. Inside the office, it's likely high-fives all around as the boss nailed another one to the wall. Nailed his thumb more like it. In the United States, a late-night television program created a regular feature that has celebrities read the comments made about them on Twitter. The comments are - to borrow the words of Constable Joe Smyth - "rude, inappropriate, [and] hateful". He was speaking about comments aimed at politicians but his description of many Twitter comments. Americans laugh at them. Some of the celebrities offer a pithy comment in return or flip the bird. But most laugh. On Jimmy Kimmel's show they call the segment "Mean Tweets". Jim Feehan's proposal to change the way we price electricity in the province got some media attention -over the past 24 hours. Feehan believes that we should set the base price of electricity in this province on the best export price rather than the current proposal to have electricity from Muskrat Falls sold in this province for a price wildly more than that. Under Feehan's scheme, the money to pay for Muskrat Falls would come from a reduced profit for Nalcor and hence a reduced divided for the taxpayers. As well, there'd probably have to be an additional tax created to cover off the rest of the costs. As we noted here in a recent post, Feehan's suggestion doesn't represent any change from what is actually going to happen anyway. He just wants to present it to consumers in a different way. That's not a bad idea since it is inherently more transparent. You can see what is what. Unfortunately, Feehan's idea misses entirely the core problem, which is the electricity policy inherent in Muskrat Falls in the first place. Fishing boats from the Faroe Islands are getting around a ban on shipping through Canadian ports by unloading their catch in St. Pierre first. franceinfo reported on January 20 that a total of five trawlers would unload their catch in St. Pierre by January 25. The fish - mostly cod but with some halibut bycatch - came from the Flemish Cap. Three quarters of the catch would go to the Faroes and Denmark, according to the franceinfo report, but the shipowners could sell 25% of their catch to foreigners. The Danish fishing boats employed 30 French dock workers to unload their catch and repackage it in shipping containers. The first ship unloaded 150 tonnes of cod. Eventually 30 containers would go to Halifax for transshipment, according to a spokesman for the St. Pierreais fishing company involved in the work. In 2010, Canada banned Faroese boats from using Canadian ports to offload cod and other species following accusations that the Faroese were overfishing outside Canada's 200 mile exclusive economic zone. The 2010 ban was the culmination of a running dispute with Denmark about overfishing. The Faroes are a Danish-owned group of islands approximately half way between Norway and Iceland, and about 320 kilometres north northwest of Scotland. A Forum poll released on Monday showed 27% of those surveyed thought celebrity businessman Kevin O'Leary would make the best leader of the federal Conservative party with Maxime Bernier a distant second at 11% and Lisa Raitt coming in at a mere seven percent. Among self-identified Conservatives, O'Leary's support climbs to 31%, according to Forum and with Conservative voters from 2015, O'Leary is the pick of 49%. Among Conservative supporters, Raitt comes in second. No one should panic just yet since this is still very early days and O'Leary has to win the leadership before we need to wonder if he might become prime minister. Then again, when Donald Trump started his campaign, no one thought the guy would last out the primaries, let alone take the nomination, and then win the presidency. Since O'Leary's never shown himself to be politically active or to have a concern for public policy before, you have to wonder how he managed to enter the race in such a strong position. Someone in Gander Bay has been catching and selling quantities of smelt. The Department of Fisheries and Oceans received complaints, conducted in investigation, and laid charges against an adult who they caught in the act of selling fish to a fellow who turned out to be an undercover fisheries officer. The basis of the charge is that it is illegal to catch and sell fish without a licence. Now that you have those simple facts , take a look at the way CBC presented the story. Newfoundland and Labrador is one of the very few countries on the planet that got itself into such a financial mess that it gave up self-government. The people gave up their right and power to govern themselves. That is, they gave up their sovereignty. They took it back in 1949, no matter what sort of fairy tales some people continue to believe. Now with massive public debt coming from chronic overspending and the crushing debt of the insane Muskrat Falls project, some people are raising the prospect that Newfoundlanders and Labradorians may once again see their sovereignty in jeopardy. Energy analyst Tom Adams has raised the issue of sovereignty with Pete Soucy and Paddy Daly recently. Muskrat Falls is likely to create such financial problems that the federal government will have to bail the province or Nalcor out, argues Adams. And it is almost certain that the federal government would look for some "austerity measures", as Adams put it, as part of whatever deal lets the money flow. A gaggle of provincial politicians representing districts along the west coast of Newfoundland turned up in Corner Brook on Friday for another one of the set-piece media events that government's uncommunications bureaucracy loves if only for their mind-numbing sameness. The headline on the news release is simple: "Premier announces New Long-Term Care Facility for Corner Brook". Construction will start this fall, according to the very first sentence. 120 beds for long-term care. 15 beds for palliative (end-of-life) care. Another 10 beds for rehabilitative care. The second paragraph - all in bold according to the template so folks know it is a quote from the most important person - starts with the obligatory statement that every action of government and its employees from bowel movements to budgets is guided by the latest Roadmap to Salvation announced last fall in hideously expensive media event. As polls showed, no one was impressed by it. Sometimes the universe delivers you the magical set of circumstances you just can't ignore. Danny Williams turned up at the St. John's Board of Trade luncheon on Thursday to deliver a speech the day before Donald Trump's inauguration as president. As much as people might like to forget, this was a great reminder of just how much Williams and Trump are the same kind of politician. The board of trade booked Williams because he will sell tickets. And in the same way, the local media turned out in droves for Williams. They treated just as they have always treated him and that's our story for today. Williams delivers to electronic news media what Trump does: ratings. Fox and CNN adore Trump just like VOCM and CBC television followed every Williams' gaseous emission. He drew the audience. The difference is that while CNN news anchors are routinely critical of Trump and even Fox might take the odd poke at the president-elect, the local media have typically handled Williams and his most ludicrous claims as if they were holy writ. Folks who think the Canadian media would fact-check a Trumpish politician out of office can look no further than the way the locals recited Danny's lines almost verbatim. A group of 35 young people traveling from St. Pierre to Corner Brook at the end of the month are going to be affected by a new French anti-crime and anti-terrorism measure, according to francoinfo. The students will each need special parental authority in addition to any other travel documents. The new requirement is called the Autorisation de Sortir du Territoire or AST and came into effect on January 15. All French citizens under the age of majority and unaccompanied by an adult with parental authority must have a special permit to leave the country. The permit includes both authorization by the parents and copies of documents such as passports for parents who are not French nationals. The document could be valid for up to one year and covers travel outside France for any purpose. The decree authorising the measure states that it is intended to fight terrorism and organized international crime. The provincial cabinet has known since January - at least - that the powerhouse at Muskrat Falls is only 15% completed despite a huge payout to the contractor. That's what Nalcor reported to the committee of provincial bureaucrats named by the Conservatives to get a report from Nalcor every now and again. They can't do anything else except receive the reports and pass them on to cabinet. They still do it under the Liberals. The company hired by cabinet to conduct yetanother review of information supplied by Nalcor that government already had included a little table of progress on major components at Muskrat Falls. The powerhouse is a major component. But it isn't on EY's table, shown at right and released earlier this month. It's lumped in with "spillway" and shows it is supposedly almost 40% complete. There's a lot of difference between 15 and 40. Conversation about the province's financial state in the past couple of weeks have turned to talk of bailouts and threats to the province's sovereignty. A Carlton University economist told CBC in early January that the provincial government would need a bailout to keep the province from collapsing under the weight of electricity rates once Muskrat Falls arrives. Energy analyst Tom Adams talked about Muskrat Falls with Pete Soucy and Paddy Daly. The talk about bail-out is related, in one sense, to a refrain some people have been singing for a while now that somehow the provincial government is hard-done-by because it doesn't get Equalization despite having this huge financial mess. People who say those sorts of things don't understand a thing about Equalization. Let's take a quick look at the province's finances and the idea of a bail out. In another post, we'll look at sovereignty. The day after a massive Liberal victory in the general election, CBC’s David Cochrane posted an analysis piece on the new administration. CBC distributed it nationally. Four campaigns. Two losses. Two wins. By a combined 75 votes. Cochrane’s account leaves out relevant context. When it comes to describing how the Liberals won, Cochrane focuses not on anything the Liberals did but rather a string of Tory blunders that - according to Cochrane - made it easy for the Liberals to win the election essentially by accident. In the supper hours news, Cochrane then reported on information leaked to him by someone with access to highly confidential government information. Their purpose - quite obviously – was to maximise the the damage to the new administration before it even had a chance to take office. The information fit quite neatly with Cochrane’s ongoing narrative and so, he naturally, had no hesitation in using it. Gene Cernan died on Monday. He was many things in his life but Cernan will be best known as the last man who set foot on the moon during the Apollo missions. Cernan's official website contains all you will need to know about the man who went to the moon twice: once as lunar module pilot on Apollo 10 and later as commander of Apollo 17. 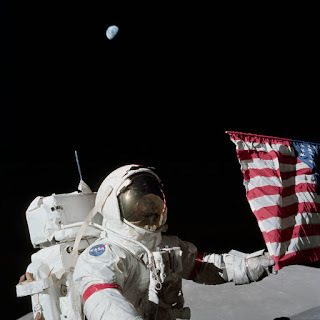 His memoir - The last man on the moon - became a 2014 documentary of the same title. People like things in life to fit together. When things don’t fit together, people get upset. They get fidgety. They try to make things fit together. It’s an idea regular readers know from other posts. Take this bit from a post from 2012 as a good example of how some people react when faced with a situation where what is happening doesn’t fit with their preconceived notions. The context was a decision by then-Premier Kathy Dunderdale to refuse to meet with the parents of a boy who had died tragically. Our friend the open line caller did exactly what people tend to do when confronted with this cognitive dissonance. He made up a completely fictitious set of claims. Kathy Dunderdale was the victim of a plot. Some unspecified crowd called “they” had set a trap for her with this meeting. When they tried to spring it, Kathy foiled their nefarious plot. The media have been pounding away at this because they just love misery. And the root of it all was the end of the sectarian school system almost 20 years ago. Since the evil Liberals did away with sectarian schools, we have been set on just this course. Politics in this province is gone down to the lowest level with this sort of mean-spirited attacks on good people, besmirching the good name of lovely people like Kathy who are only trying to do good for the world. 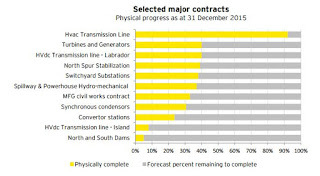 Memorial University economist Jim Feehan proposed in the December issue of Canadian Public Policy that the provincial government should change the way electricity is priced in Newfoundland and Labrador once Muskrat falls comes on stream. 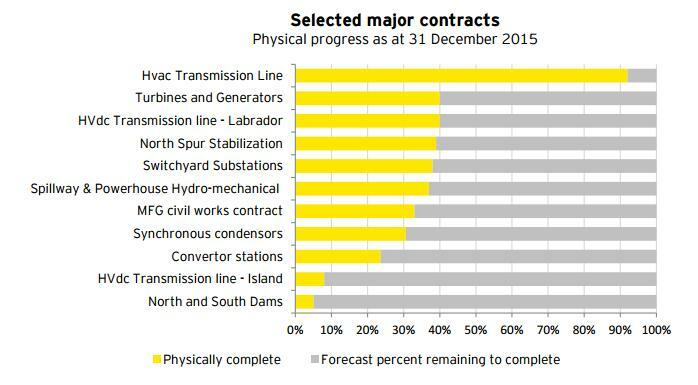 Now to be clear, the way government prices electricity will already change for Muskrat Falls. The project is so financially odious that the only way its proponents could get it off the ground in the first place is to force local taxpayers to bear the full cost of the thing, plus profits to everyone involved except themselves. That's what will happen. The provincial government used to have a policy to ensure we had the lowest cost electricity possible. No any more. With Muskrat Falls, we get the most expensive electricity possible and may well wind up with the most expensive electricity in Canada. Now Feehan is suggesting that we price electricity based on the external markets in the fashion that the pricing will be set for the Nova Scotia block. Unbundled transportation costs and let people see what they are paying for that. And allow other costs of providing electricity, like fluctuations in oil prices, show up directly on consumer electricity bills. We already knew that the provincial cabinet had abandoned their budget before the document had been debated in the House. That happened last week when the Premier ordered the justice minister and the attorney general to abandon the cabinet-approved cuts in the justice department. Less than 12 hours after meeting with the same officials justice minister Darin King consulted before cabinet approved the cuts, King and attorney general Tom Marshall (right, not exactly as illustrated) told reporters that whatever those officials had said would now be the policy. The change of policy is breathtaking enough. Not only will some of the laid-off court security officers be rehired, but cabinet has also lifted the hiring freeze to allow the High Sheriff to immediately hire more staff. Someone will also be appointed to conduct operational reviews of the three divisions – High Sheriff, legal aid and Crown prosecution service – involved in the cabinet flip flop. But that’s not the truly striking aspect of this abrupt change. At 40 seconds into his remarks, King confirms that the direction to abandon the cuts came from the Premier herself last week. The Lady indeed was for turning. The talk was supposed to be about the political culture in Newfoundland and Labrador. Does it ever change? What Tim Powers wound up spending a lot of time talking about was Donald Trump, millennials, and Liberal Party databases in the last election. Not surprising, really, given that Tim is a veteran Conservative backroom guy and the federal Conservatives have been looking at how the Liberals bumped them out of power in the 2015 federal election. They are so fascinated by the Liberals' internal campaign management system they have been complaining that the Prime Minister's national tour is just an excuse to build up a contact database. Yes, b'y, like there is no other way to collect names, telephones, and email addresses and collecting them is all there is to it. The December 2008 expropriation bill was not the right thing for the provincial government and the House of Assembly to do. It was wrong, but not because it didn’t work. It was wrong, but not because the provincial government accidentally expropriated a contaminated mill site. The December 2008 expropriation was wrong because it was a violation of the fundamental principles on which our society is supposed to operate. There are lots of ways of looking the government's budget. Here's one that's a bit unconventional. Rather than look at how much the government is spending on debt servicing as a share of all expenses, let's take a look at what it means as a share of the government's income from its own sources. Debt servicing is the amount spent to pay the interest on public debt. Own-source revenues excludes federal transfers and borrowing. The percentage is a function of the amount spent to pay interest on the public debt and the amount of money the government earned from its own sources. Debt servicing tripled in four years, going from $360 million to more than $1.0 billion. Own-source revenues dropped by about a billion dollars, going from $5.762 billion in 2013 to $4.775 billion in the 2016 budget. That's a really good indicator of how rapidly the government's financial situation deteriorated. Some people will tell you there the federal and provincial governments have a deal for a federal loan guarantee on Muskrat Falls. The provincial government has already met three criteria set by the federal government and Stephen Harper confirmed that in a speech in St. John’s. That’s what you could take out of some stories from different media outlets coming out of Harper’s campaign stop in Newfoundland and Labrador. Bear in mind though that the loan guarantee story took a couple of turns within the past 24 hours even for one single news outlet. Multiple sources tell CBC News, though, that the federal and provincial governments have reached a deal on the terms of a loan guarantee. Not even a hint if they were highly placed in both the federal and provincial governments. Sometimes that happens. You don’t even give the slightest clue as to the authenticity of the sources on which the story is based. Put it down to a judgment call. Doesn’t mean that the comments are right or wrong, but it could put a question mark over the accuracy of the information. Until 1996, there were no campaign finance laws in Newfoundland and Labrador at all. In 2003, the Conservatives promised to make dramatic changes to the laws governing how parties financed election campaigns. They delivered none of it. In 2015, the Liberals promised changes to campaign finance laws and one year into their new mandate, the Liberals are looking at appointing some experts to make recommendations on changes to elections laws. In the weekend Telegram, James McLeod described this lack of action one year into a new mandate as "massive delays" on democratic reform but starts out his story by talking about something else entirely. That's your first clue something is out of focus. Danny Williams always said that building the Lower Churchill was the only thing he wanted to do before leaving politics. He took a huge step down that road in 2006 when he rejected other options in favour of the supposed go-it-alone strategy. With no markets and no money for the project, and with setback after setback in the environmental and land claims fronts, the odds were slim he could achieve that dream. Slim odds, that is, until this weekend. Williams told provincial Conservatives he is trying to lure Nova Scotia and Emera into a deal to build a greatly scaled down version of the project. That confirms he is trying to cut a deal so he can leave politics. Premier Dwight Ball has talked about it. CBC's Peter Cowan tweeted about it Sunday night. If only we were like all those lucky provinces that get Equalization, we'd be right as rain. We can allow that Peter may not understand federal-provincial finances at all, even if he does cover the legislature a lot. If there's one thing SRBP readers will know is that most people in the country, including pretty well every reporter and politician, hasn't got a clue about Equalization. Well, give Peter a bit of a break but there's no excuse for cabinet ministers being stupid enough to talk about Equalization like a province was entitled to it because it was running a deficit. You can find a summary of Equalization from SRBP last January. You can find an earlier dose from 2005. That should give you the basic understanding Dwight and Peter evidently lack. But for the fun of it, let's look at how we might fare if we were the same as New Brunswick as far as Equalization is concerned. Dwight Ball tells reporters in year-end interviews that "everything is on the table" to deal with the government's financial problem. No cuts to spending as that would slow the economy. Ditto for tax increases. Even “efficiency” went out as Ball told the Telegram’s James McLeod that you couldn’t deliver existing services without the existing staffing levels. In the budget, the provincial government boosted spending by 12%. That was on top of the 12% boost the year before. Ball increased taxes, largely because the bond raters and the short of cash in the markets gave him no choice. There were some modest cuts but the cash just got shifted to spending somewhere else. The big cuts, the serious cuts or whatever Ball hoped to achieve with the unions would come in negotiations. All the usual suspects - opposition politicians, union activists, people dependent on government hand-outs - accused Ball and the Liberals of "austerity". There is no question that our system provides a great method for adjudicating questions of fact and law, but given the expenditure of public funds we are obliged to the people of Newfoundland and Labrador to provide the best possible system in terms of the efficiency of the process. Administrative changes recommended by a committee of lawyers and judges to improve the province’s justice system still haven’t been implemented over 18 months after they were made public. The four provinces heavily dependent on oil and gas resources took a major hit in jobs in 2016, according to seasonally-adjusted figures released on Friday by the Dominion's statistics bureau. Alberta lost almost 35,000 full-time jobs. Nova Scotia lost more than 13,000 full-time jobs. Saskatchewan dropped 12,400 full-time jobs. Newfoundland and Labrador lost 6,000 jobs between December 2015 and December 2016. Growth in part-time employment in the same period offset the losses. Newfoundland and Labrador gained only 300 jobs, leaving it with a net employment loss of 5,700. Nova Scotia added almost 16,000 part-time jobs, though, giving it a net gain in employment. Saskatchewan added 5,500 so the province ended the year with a net loss and in Alberta, the economy added more than 16,000 part-time jobs. None of this is a surprise to anyone who has been paying attention. The downturn in the global oil industry that hammered Newfoundland and Labrador's government revenue has also been kicking the local labour force. In Newfoundland and Labrador, the government forecast last spring that the economy will shed jobs steadily over the next four years as the megaprojects at Long Harbour, Bull Arm, and Muskrat Falls wind down. We got a reminder of that in August in some comments by education minister Dale Kirby. Steele Communications and its subsidiary VOCM made a combined total of $23,600 in contributions to political parties in Newfoundland and Labrador between 1996 and 2009, according to party finance information published by the province's chief electoral officer. All but $900 of it went to the provincial Liberal party. Communications Ten, owned by the publisher of Atlantic Business Magazine, donated $7,700 to the provincial Conservatives between 2003 and 2015. The company gave the Liberals $50, once. Robinson-Blackmore operated a string of weekly newspapers across the province until it was bought out by TransCon. Between 1996 and 2001, RB made political donations totalling $7,489.20 to Liberals and Conservatives. Electoral office records show one contribution by Newfoundland Broadcasting Corporation to the Conservatives for $1,000 and a single donation of $150 to the Liberal party by Downhome Publishing since 1996. Until 1996, Newfoundland and Labrador had no rules governing election financing. “People need to understand government cannot write a cheque for everything,” said Williams. Those were some comments made by the Premier to news media in Corner Brook after a two day cabinet retreat. The first reaction would be to wonder when, over the past four years, has the provincial government actually experienced "poor times". Muskrat Falls is basically an $800 million tax on the people of Newfoundland and Labrador. That's roughly the amount you get using numbers Nalcor chief executive Stan Marshall made public last summer. Muskrat Falls is a tax on the people of Newfoundland and Labrador. Always was that. Never was anything else. The plan was to collect the tax by doubling electricity rates. Regular readers have known this since *before* Danny Williams announced the scheme. Take all that as the starting point when you hear Dwight Ball tell Anthony Germain on the CBC St. John's Morning Show that Ball is spending a lot of time trying to figure out how to keep our electricity prices from doubling. As Bond Papers noted on Thursday, part of the Hebron deal will involve a change to the provincial royalty regime local media are characterising as a concession. The Telegram reported on Friday morning that the province will indeed lower the initial royalty to a flat 1% on gross from an escalating regime that maxed at 7.5% until the project recovered its initial development costs. After that, royalties jumped to a combined 305 in two separate tiers. After simple payout, provincial royalties were based on net profits which provided the companies with a rate of return allowance. Under the royalty regime for Hebron, the province will collect 1% for as long as it takes the project to recover start-up costs. Corporate Research Associates isn't the only pollster in the universe, no matter what some people locally seem to believe. CRA released the results of a question the company asked during its omnibus last November. They found support for Muskrat Falls at 45%. That's down from 54% in May 2016, 65% in May 2015, and 63% in February 2013. "For the first time", CBC reported on Wednesday, more people don't support the project than support it. For CRA maybe but not for others. The defining characteristic of Danny Williams' term as a politician - and particularly his term as Premier thus far - has been his relentless use of specific marketing approaches to maintain a permanent campaign. The notion of a permanent political campaign is not new. The concept of a party continuing to use campaign communications approaches when in government first appeared in a memo from Democratic political consultant Patrick Caddell to Jimmy Carter before Carter's inauguration in January 1977. [Permanent campaigning] captured a sense that there was no stark distinction between campaigning and governing given that the personnel, tactics and tools of the election campaign followed the successful candidate into office. The permanent campaign concept involves more than a recognition that politicians start gearing up for re-election well before the official campaign begins. It is a claim that campaigning is 'nonstop'. Needham contends that the permanent campaign concept is too limited to explain both Clinton's and Blair's repeated electoral success in highly competitive and complex political markets. Both Clinton and Blair have experienced highs and lows in public support, reflective of their respective political environments that are characterized by strong two-party or multi-party systems and the difficulty of sustaining a deference to political authority in systems where dissent from popularly held ideas is commonplace. Instead, Needham applies notions of branding and relationship marketing to explain the Clinton and Blair approach to government in a more complex form of permanent campaign. However, in Newfoundland and Labrador, the political environment is small, does not have a strong party system and has certain conventional ideas that both suppress dissent and encourage a deference to dominant ideas and political actors. In such an environment, permanent campaigning - coupled with a rudimentary notion of branding - can explain Danny Williams continued strong popular support. Don't ask why but Statistics Canada groups books in with sporting goods, hobbies, and music. 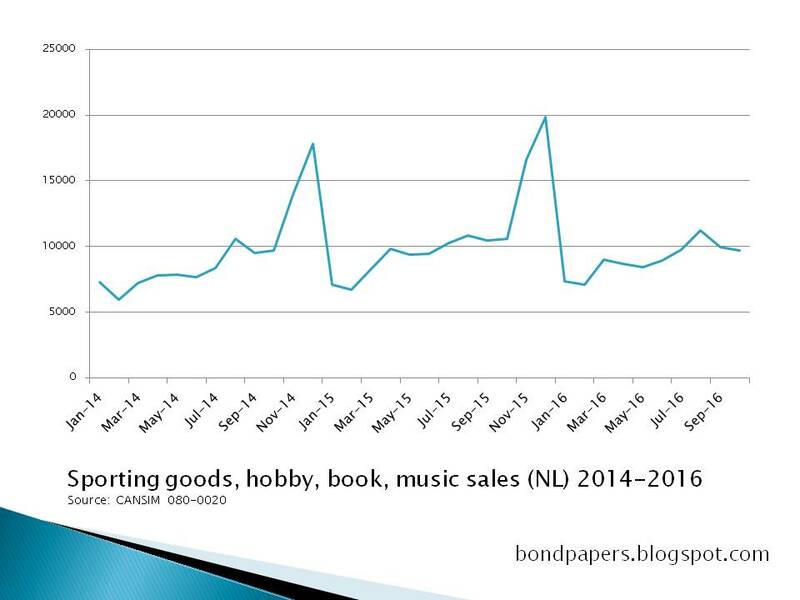 The picture shows total sales in Newfoundland and Labrador each months from january 2014 to October 2016 for these items. The figures are in thousands of dollars. The average per month over the whole period is about $9.8 million. The two peaks are the pre-Christmas rush. Everything on that list right there was subject to provincial sales tax for the whole list, except for the books. 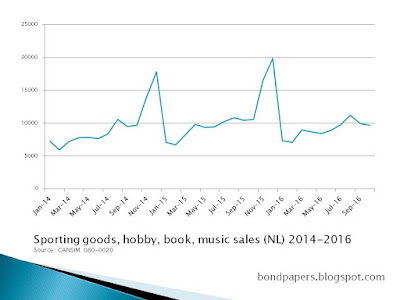 In 2015, the sector generated a little under $130 million in retail sales, in total. The government's own estimate puts the value of the book tax at $2.1 million. Over the past week, there's been a flurry of comment about gasoline prices and the fact that, as of New Year's Day, a provincial sales tax now applies to books. It's 10%, on top of the federal sales tax of five per cent. All sorts of people are talking about these two things as if they are the most important things in the world and the most horrible things in the world. Let's look at the book tax.
" [The change in the province's financial outlook] That's very dramatic...Some people are going to stand back and say 'Oh yeah, that's just because your very lucky. That's because the oil prices have gone up.' Well, no. That's part of it. But we had a tough budget, a prudent budget. We've managed the province, fiscally, very tightly." Quoted in "Cash boon may fund province's infrastructure"
Premier Danny Williams is absolutely correct. The provincial government's financial state is a direct result of oil and gas revenues. High oil prices have produced a boost beyond what the Real Atlantic Accord, the offshore royalty regimes and development at Voisey's Bay would have produced anyway. Unfortunately, the premier's positive comments may have two unwelcome results. First it may make it seem as though the province can afford to increase spending in a number of ways. Second, his comments divert attention away from the fundamental failure of the Williams administration, two years into its mandate, to produce integrated plans to address the province's financial windfalls in a way that will yield the greatest long term benefit. Scholarly papers seldom get the attention of the news media. When a paper combines a well-known, emotionally charged issue – aboriginal residential schools – with intimations of racism and unethical medical experiments on unwitting human subjects, it’s hard not to get noticed. Ian Mosby's paper published in 2013 deserves attention for many reasons, but one of the areas not likely to get noticed by most readers is one that would be familiar to many in Newfoundland and Labrador. Brexit supporter and insurance magnate Arron Banks got into a tussle on Twitter late last year with Cambridge classicist Mary Beard. Banks tweeted that Rome had been done in by immigrants, with the obvious implication that western European countries should be wary of letting all sorts of people cross their borders and settle down. Beard took issue with that rather superficial view, and things went down hill from there. Banks pitted his very best recollection of grammar school history - as well as Gladiator and I, Claudius apparently - against a Cambridge don. Even J.K Rowling got in on the act. This sort of clash is going on more and more these days with the rise of a nationalists and nativists across western Europe and North America. As in the discussion of the Beard-Banks exchange, lots of people decried the comments as an example of the post-factual world we live in. Facts don't matter any more. Folks believe what they want to believe and will act accordingly. Lots of people on the political left or in the centre are decrying this supposedly new trend but there's a bit more to it than the rise of ignorance or the end of western civilization as we know it. People are talking about austerity but the simple truth is the people talking that way have a vested interest in exaggerating what is going on in the provincial government. Yes, we *are* in a very dangerous financial state. But... the provincial government is doing the bare minimum to keep the creditors happy while waiting nervously for oil to come back​. In the meantime, there is no austerity and anyone who says otherwise is either ignorant or a liar. Some folks are looking at the price of oil and get excited over the teensiest of changes in the price per barrel. They are missing some simple stuff, though, and at the start of the New Year, it is worthwhile for us to take a quick refresher in basic oil royalty math.